Like a lot of areas in Arizona with new master planned communities, Buckeye attracts many people for whom golf is a very important pastime. 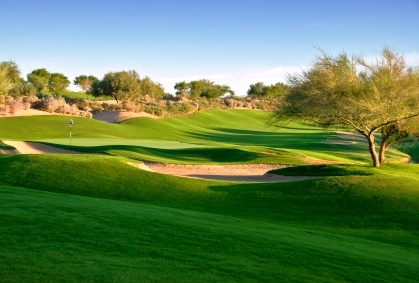 There is certainly no shortage of golf courses, from the Buckeye Public Course to the Copper Canyon Golf Club. Many golf courses are located within the various master plannned communities include Valencia, Sundance, and Verrado (see links at right). At one point Buckeye, a suburb west of Phoenix, was the second fastest growing city in the U.S.